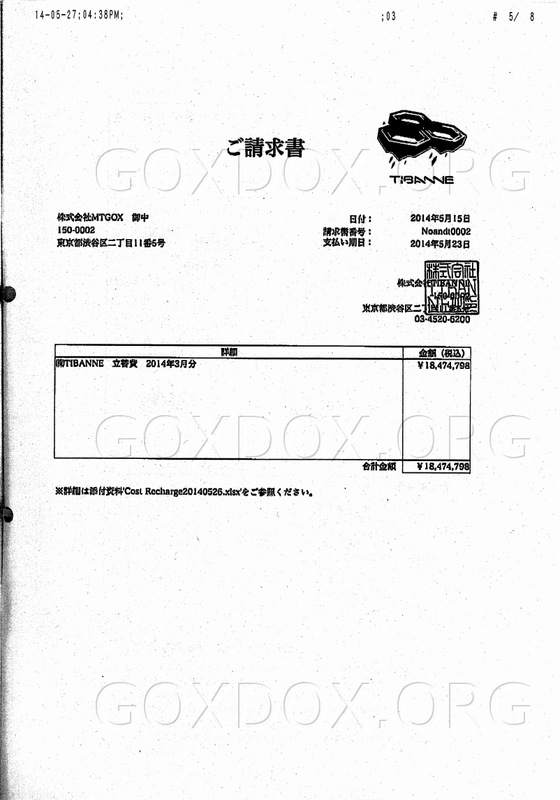 Straight from the Trustee's bank book, more cash payments to Tibanne K.K. 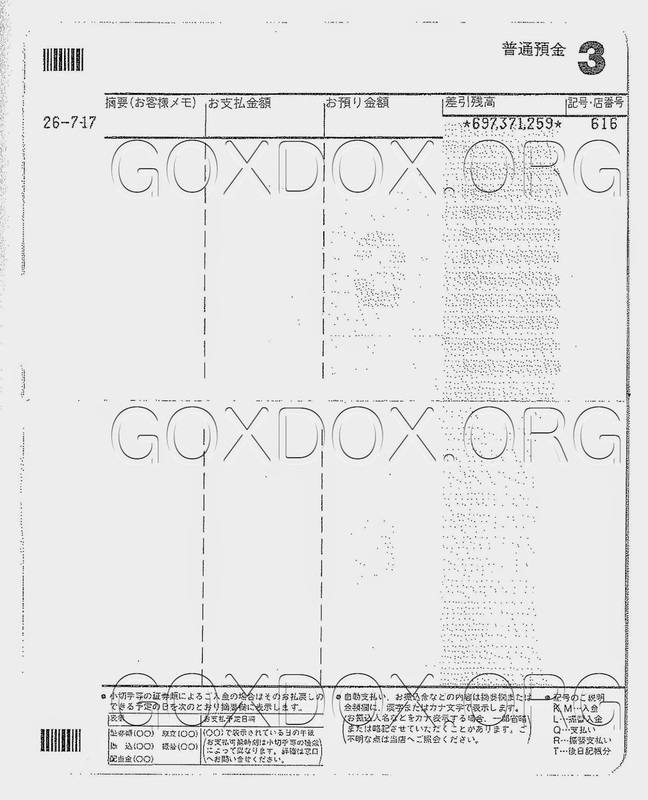 from the bankrupt estate of MTGOX - how much money has Mark taken from creditors while still paying $20,000/month rent to live in a penthouse apartment? 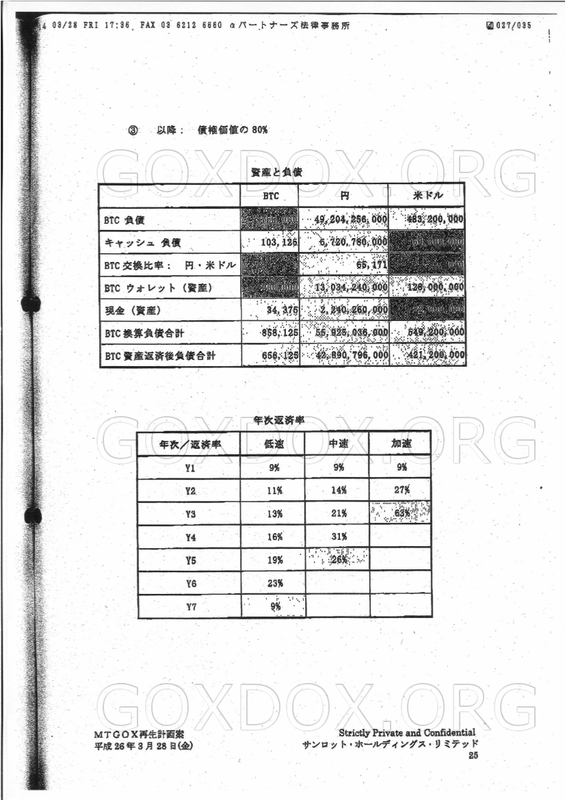 Documents released at the creditors meeting indicated $420,000 paid in "outsourcing fees" - now you know. 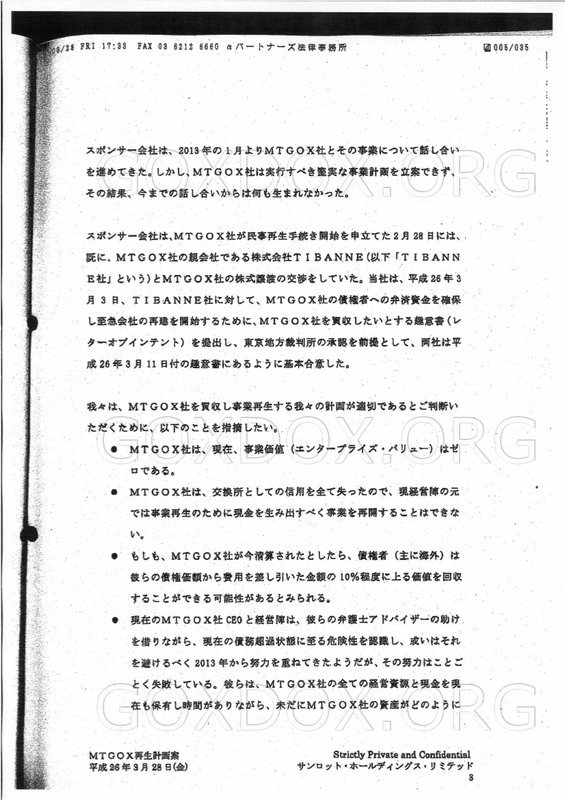 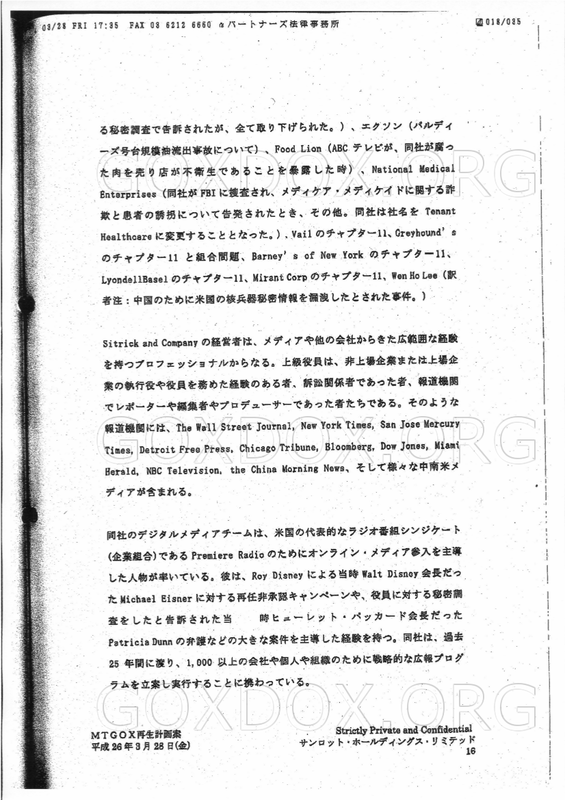 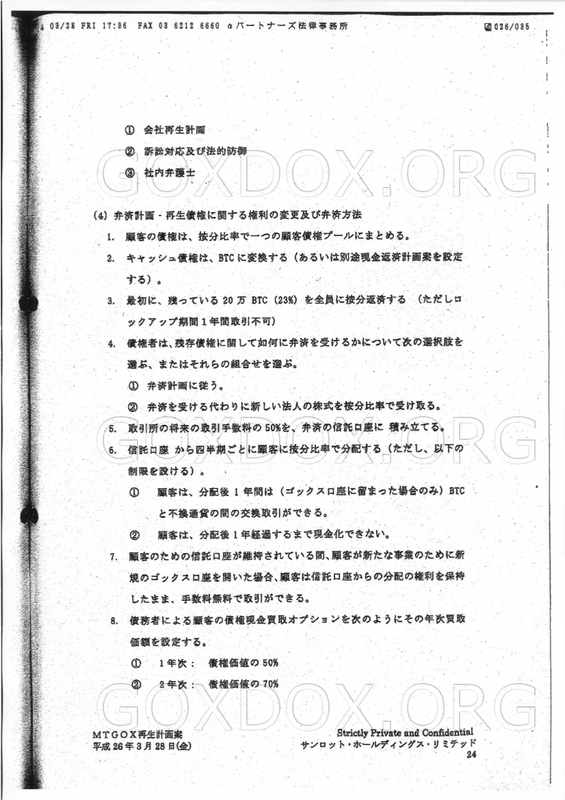 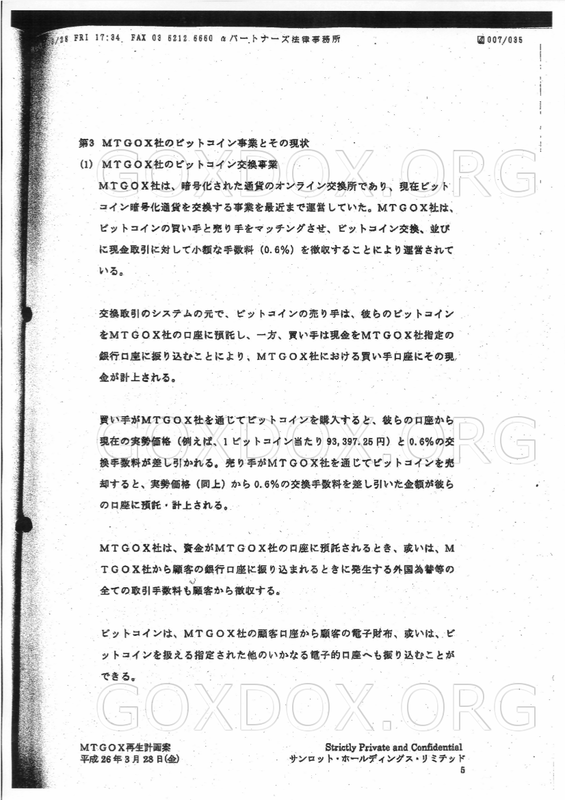 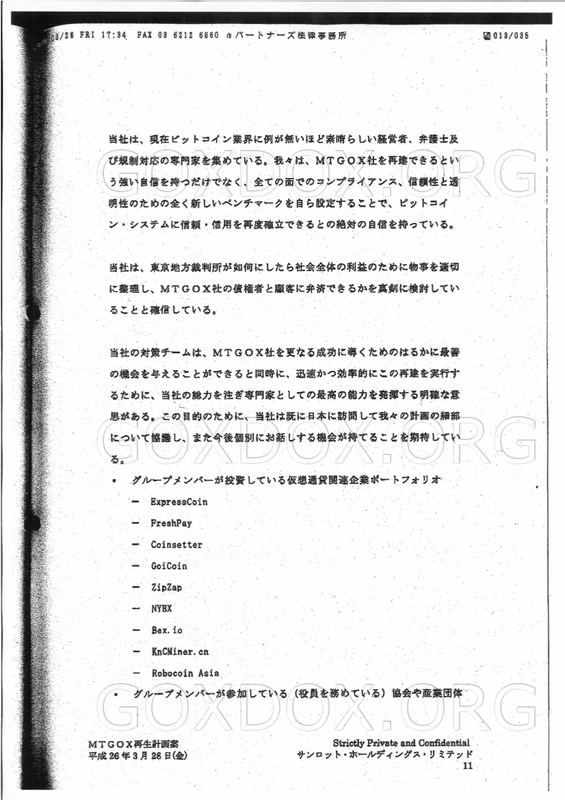 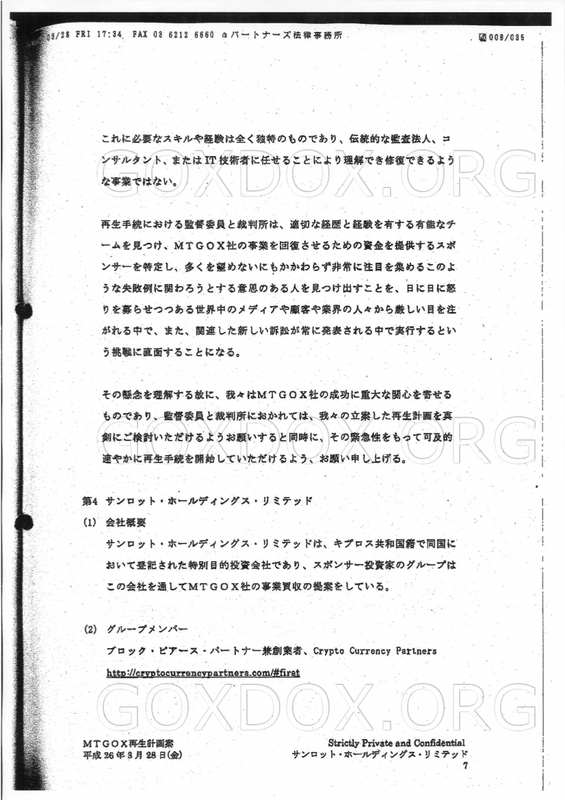 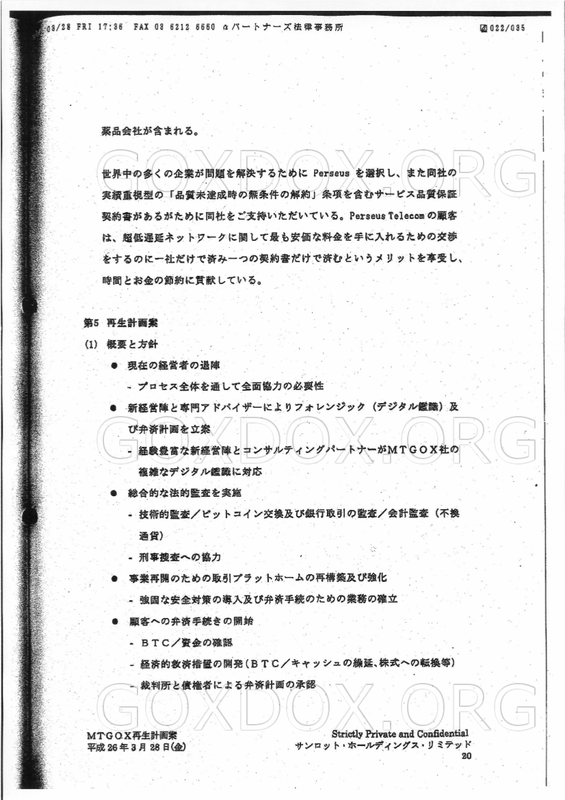 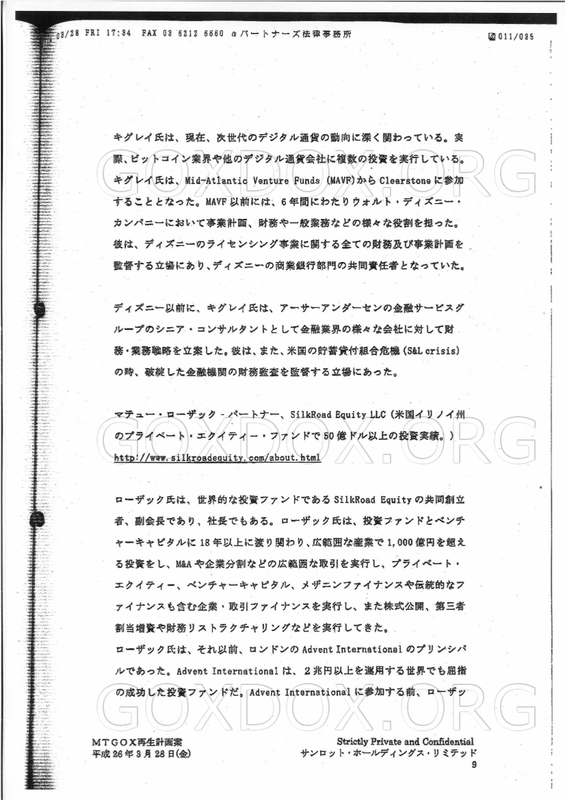 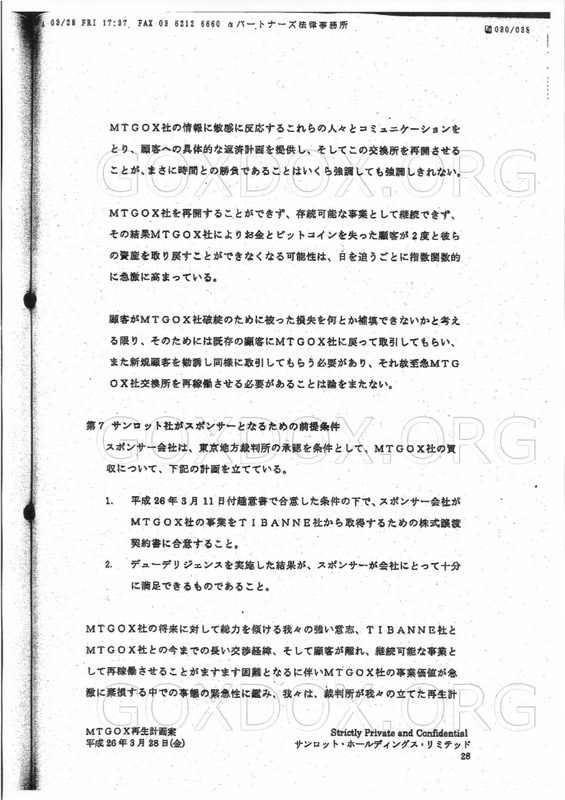 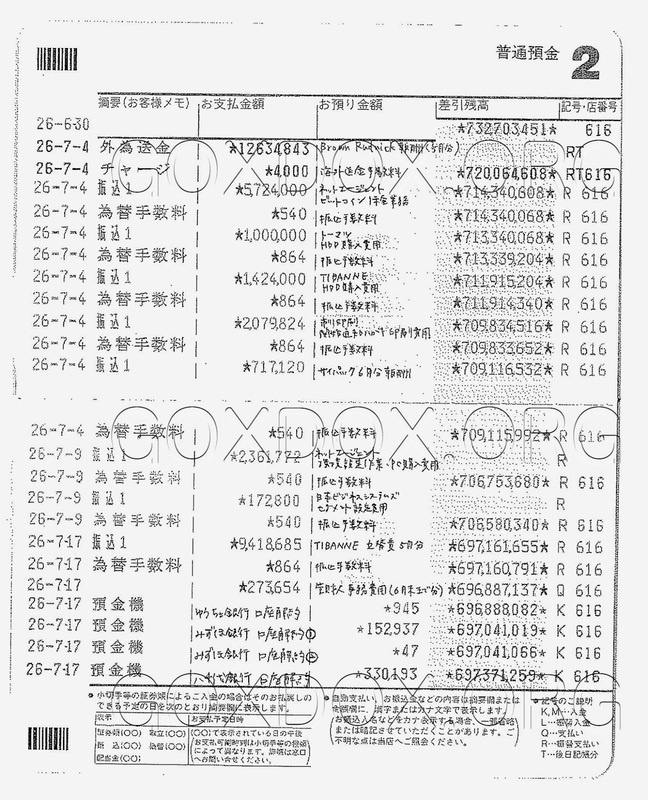 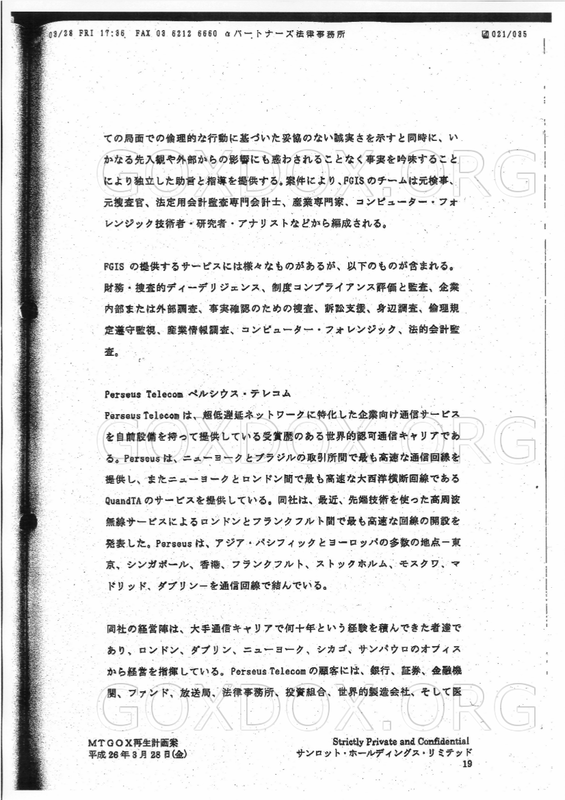 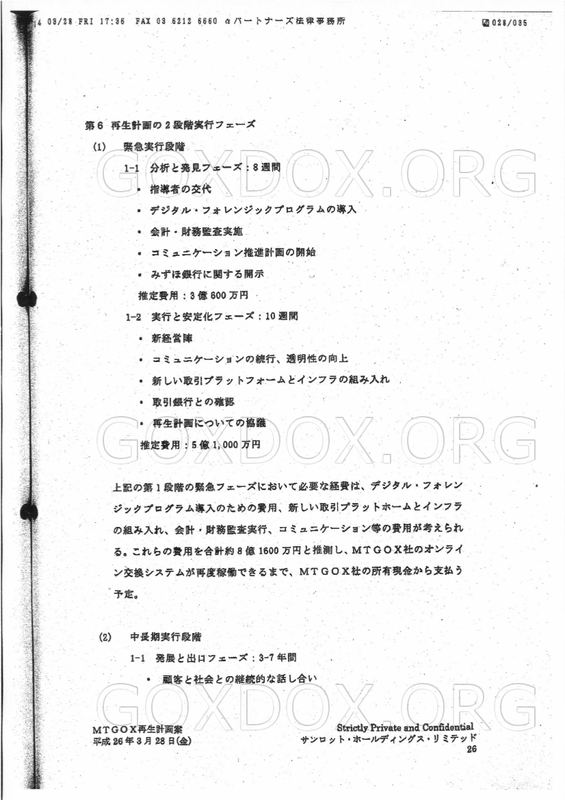 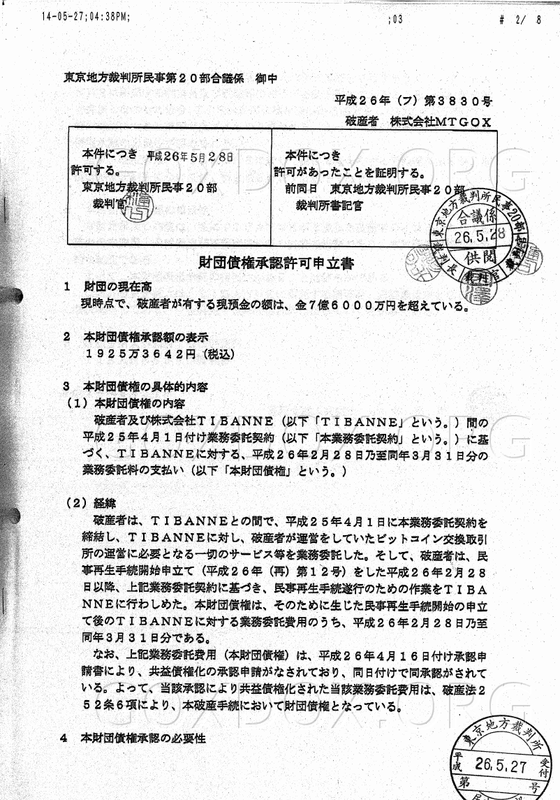 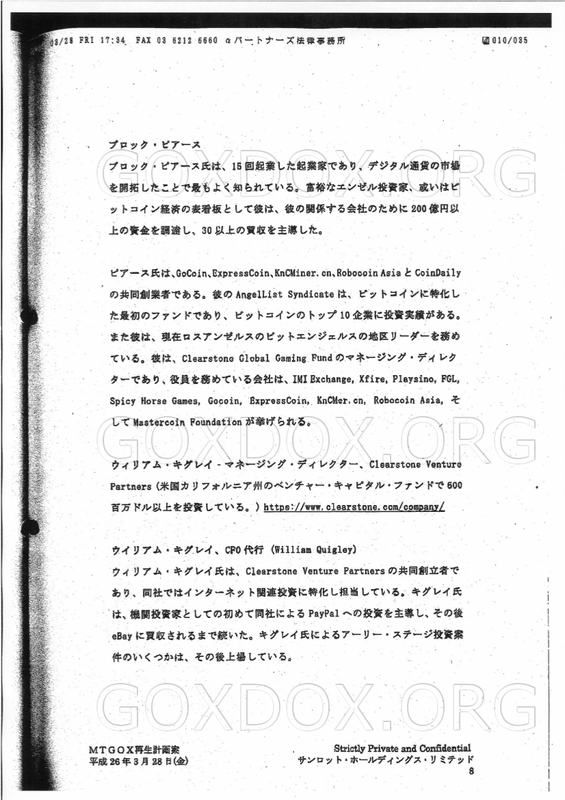 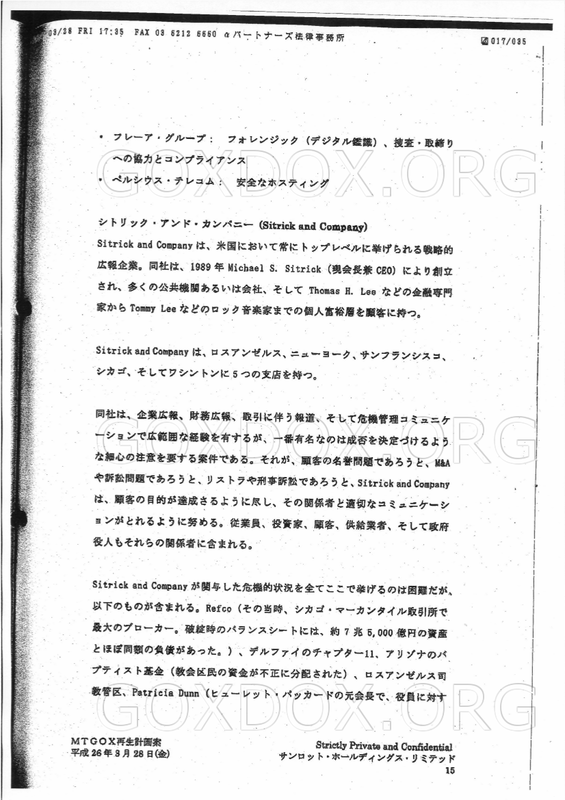 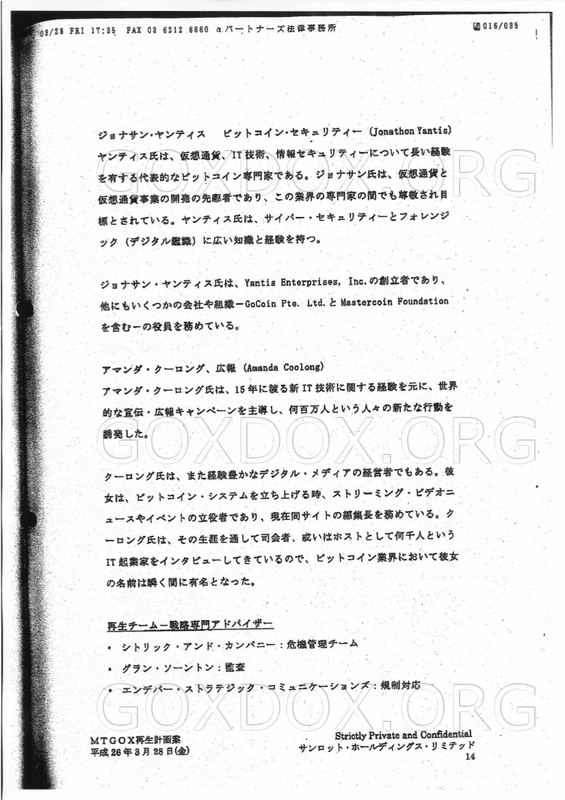 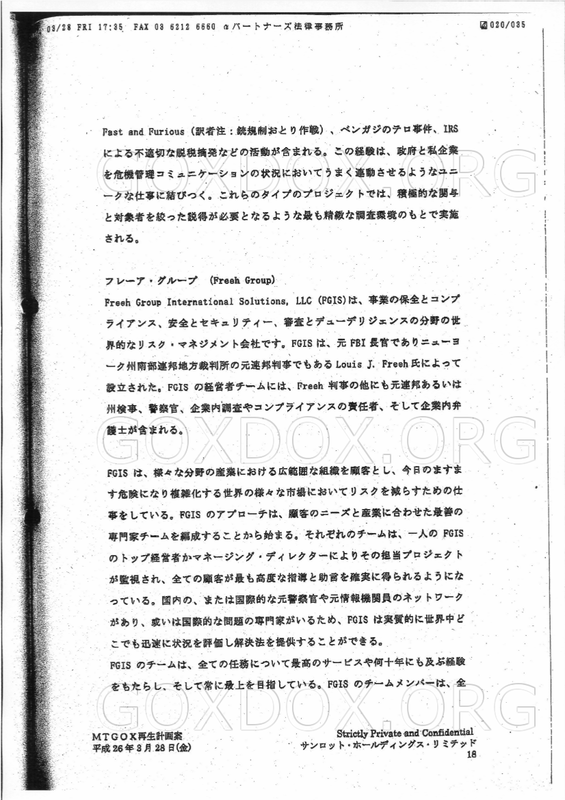 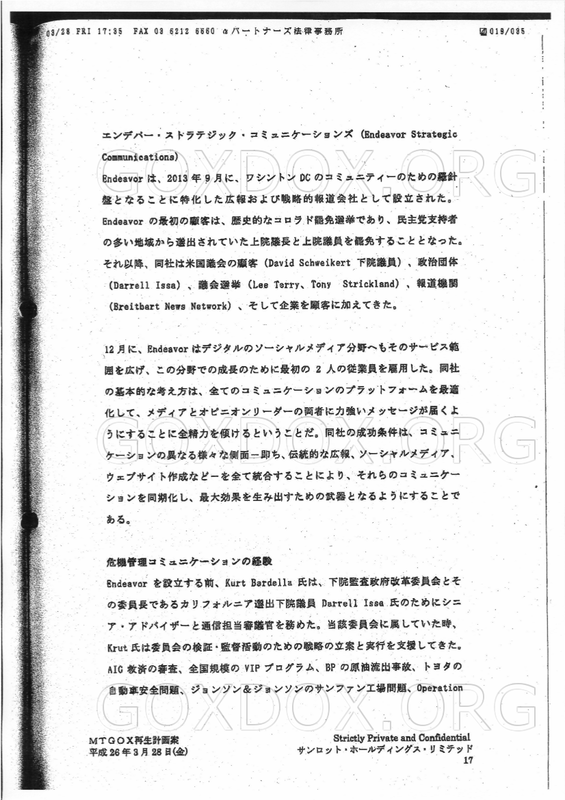 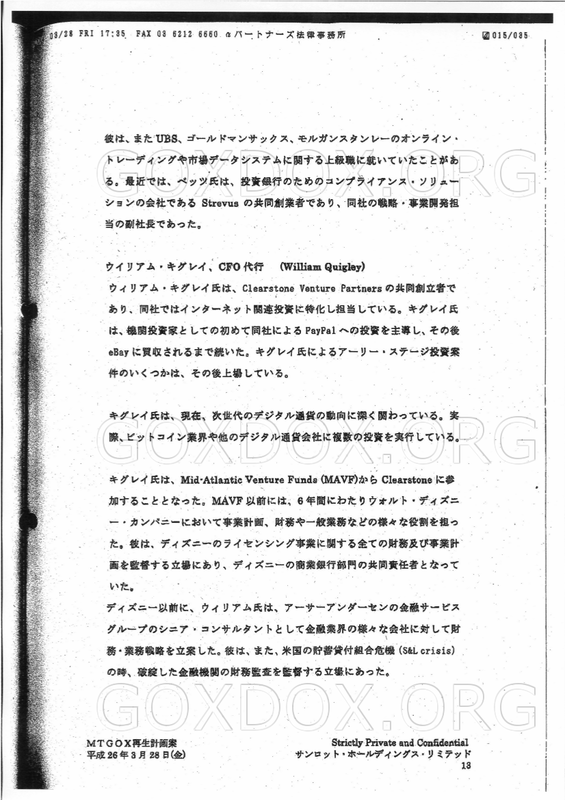 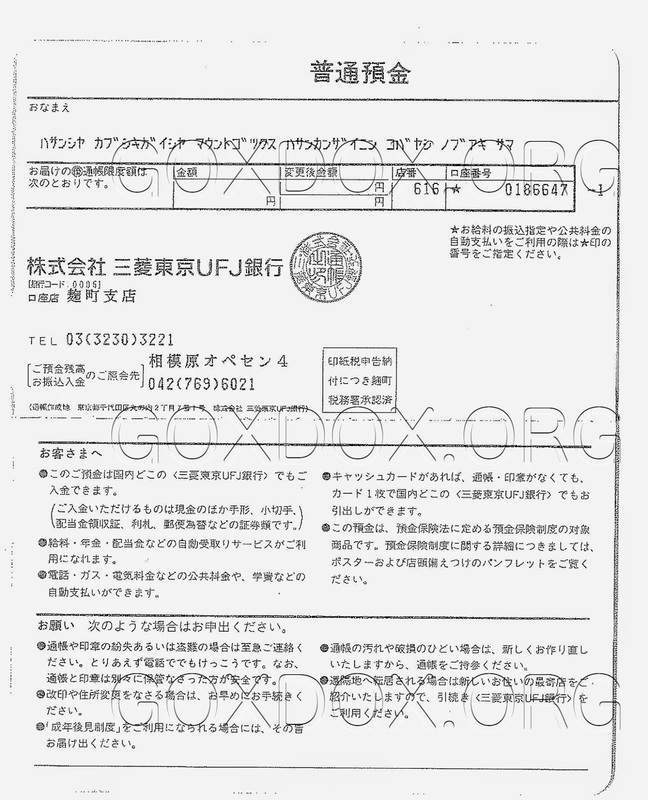 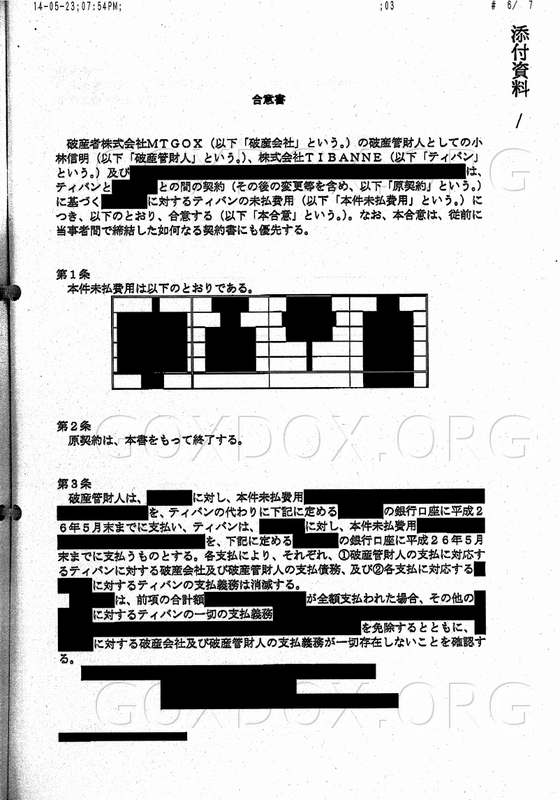 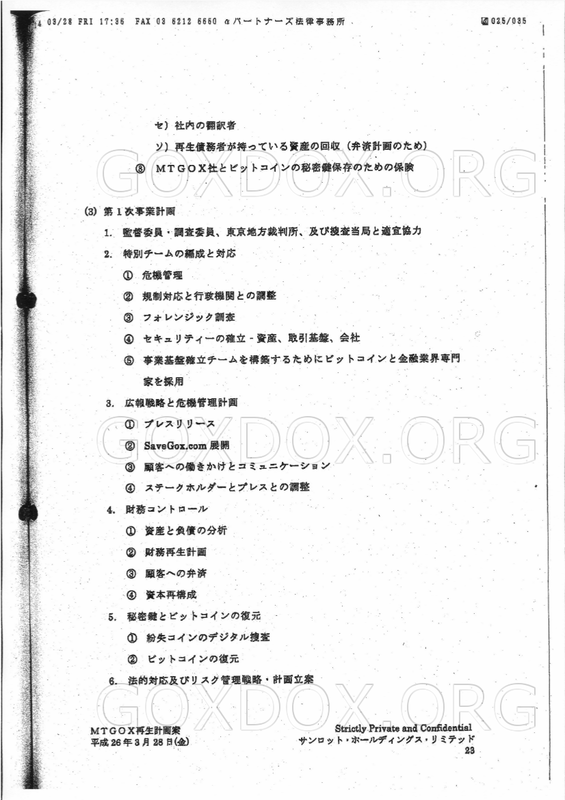 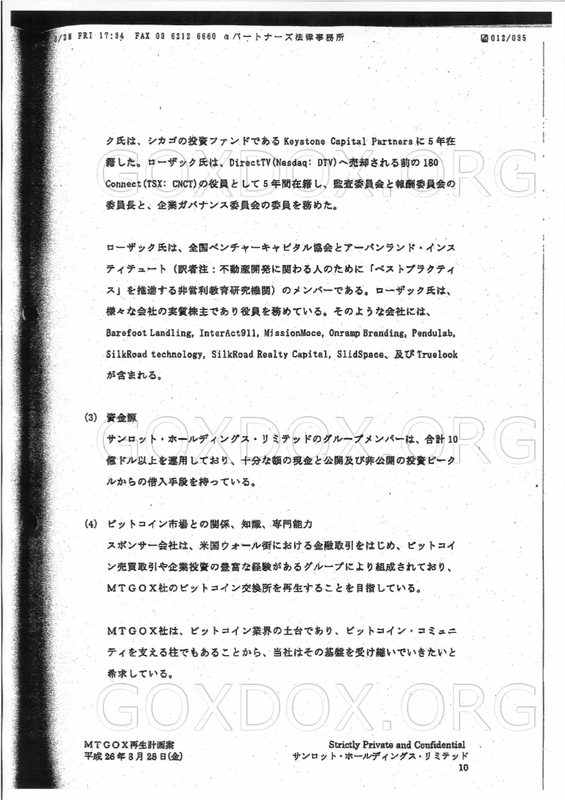 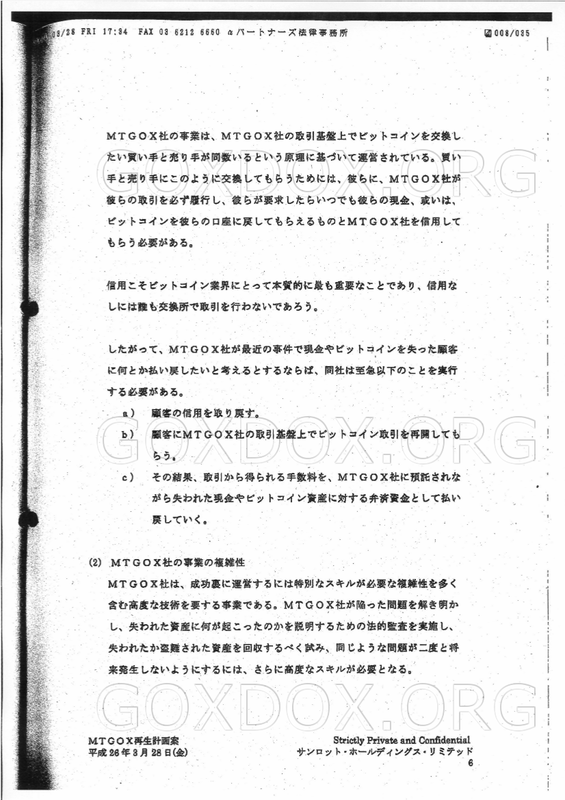 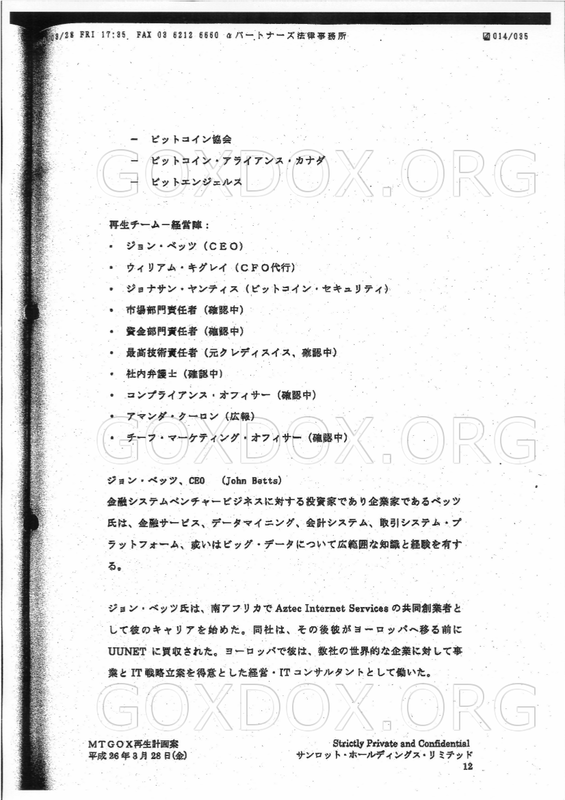 This heavily redacted agreement, filed with the Tokyo District Court on May 26, 2014, shows Tibanne K.K. 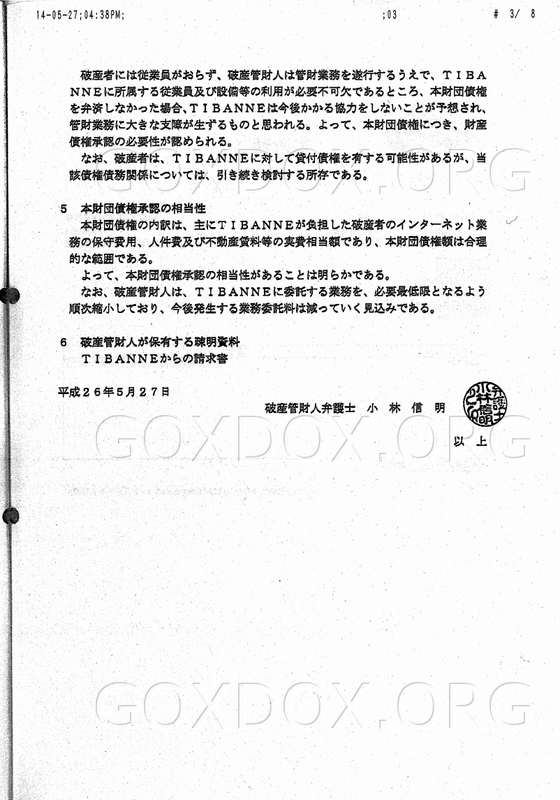 invoicing MtGox for services redendered, and court-appointed trustee Kobayashi signing off on these fees with his official seal. 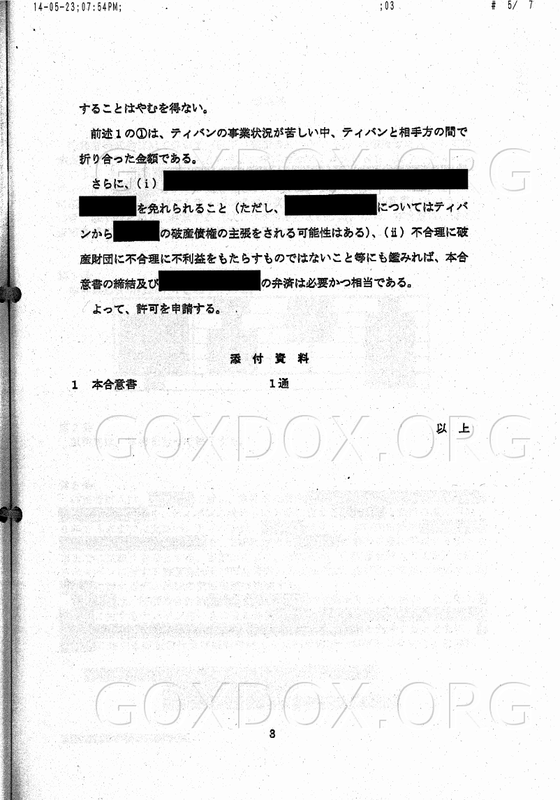 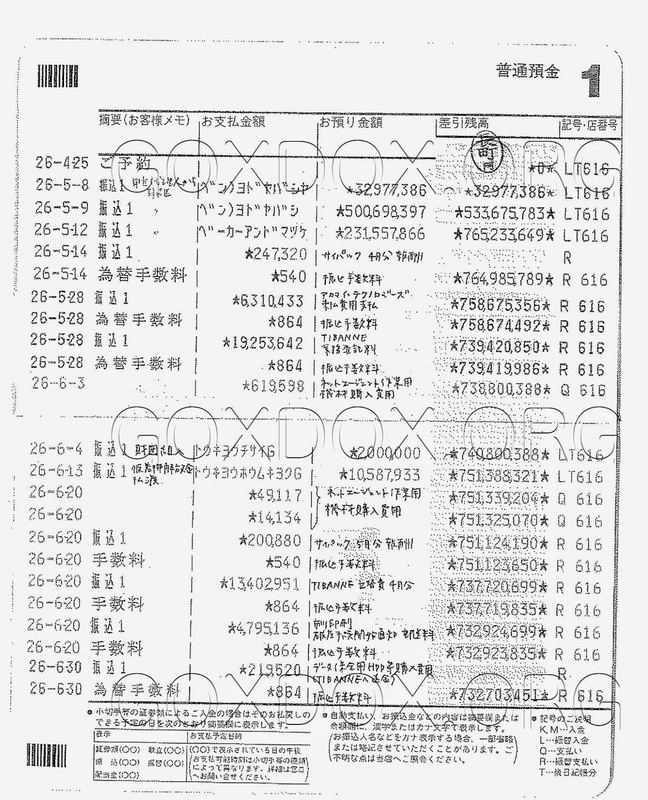 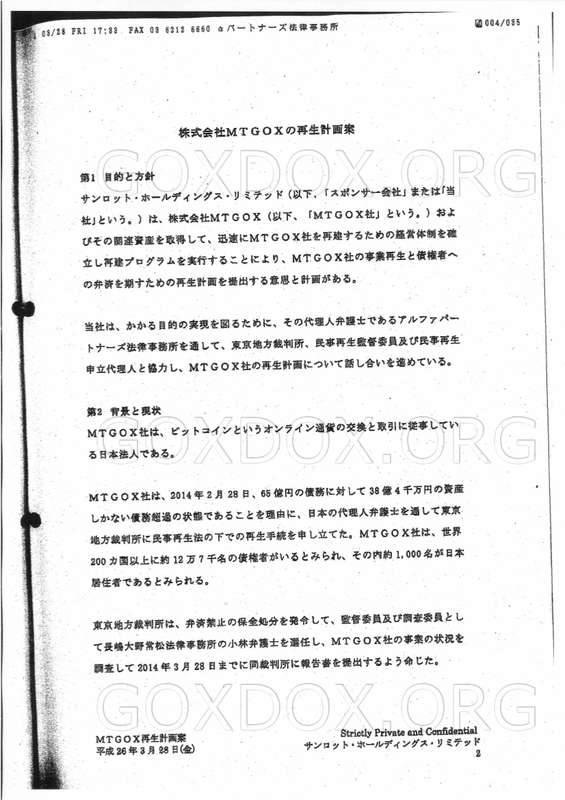 According to the document, there are only $7.6M USD remaining of mtgox funds. 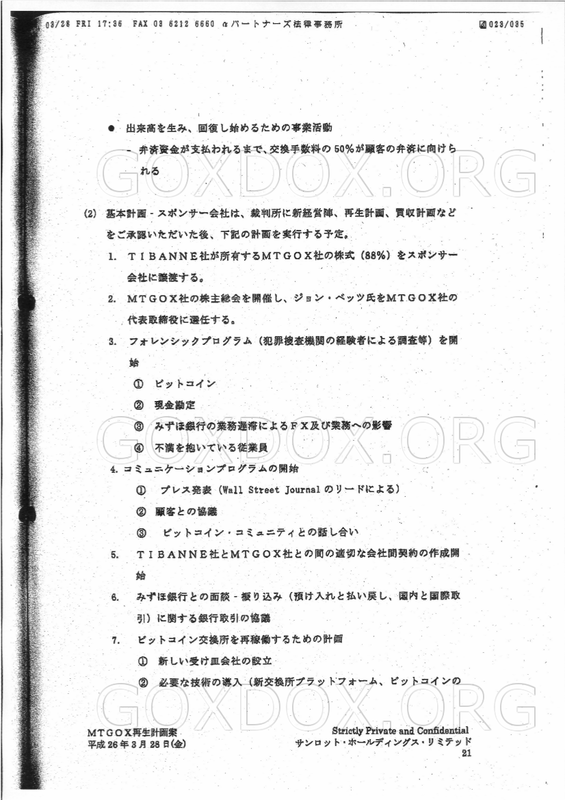 Mark and Kobayashi must be stopped. 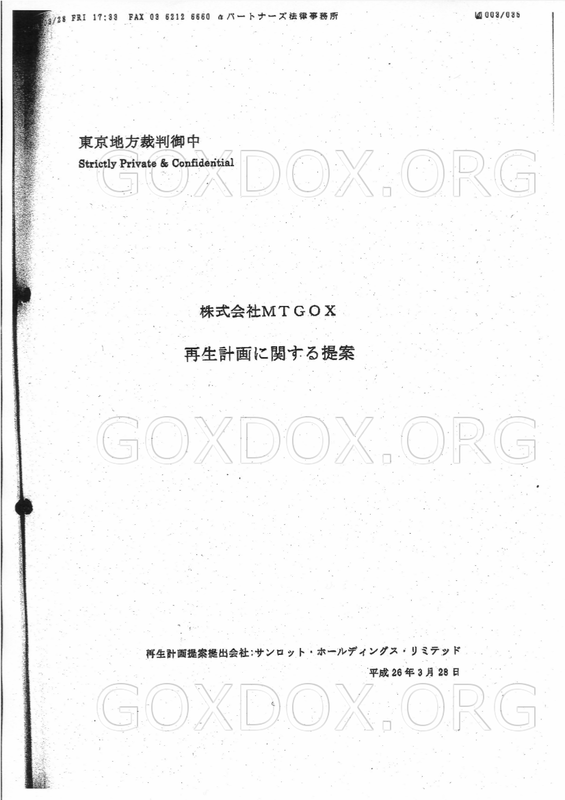 mtgox was hacked in 2013. this is when your bitcoins went missing. 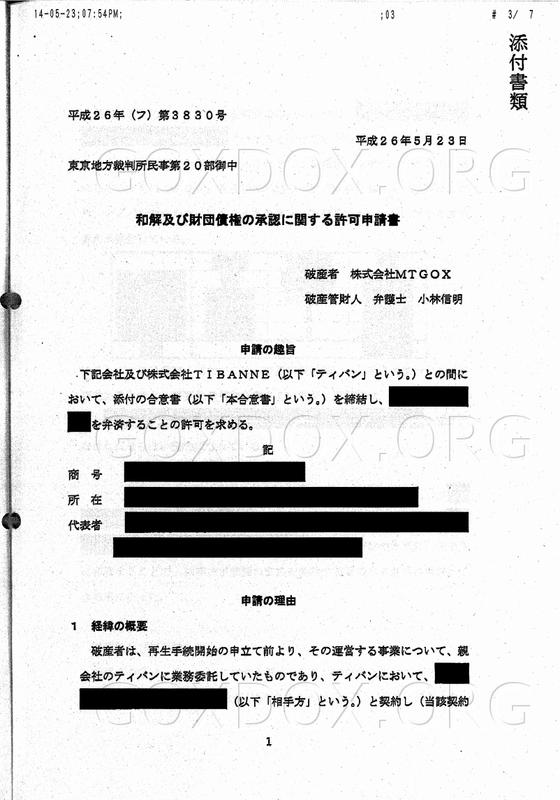 The database was compromised, and accounts were altered increasing the cash balance in certain yet unidentified accounts. 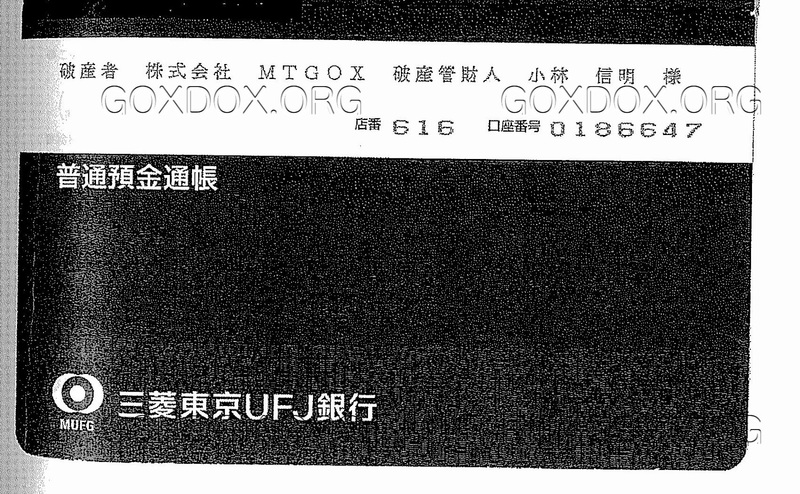 These accounts then purchased bitcoins and withdrew them. 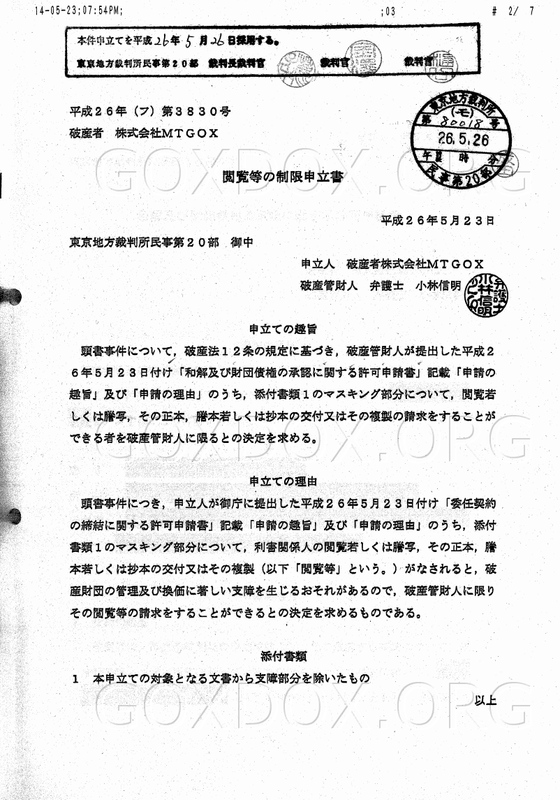 This information has been kept secret from you because Nobuaki Kobayashi, the court appointed lawyer in charge of the mtgox bankruptcy, wants to close the case as easily as possible. 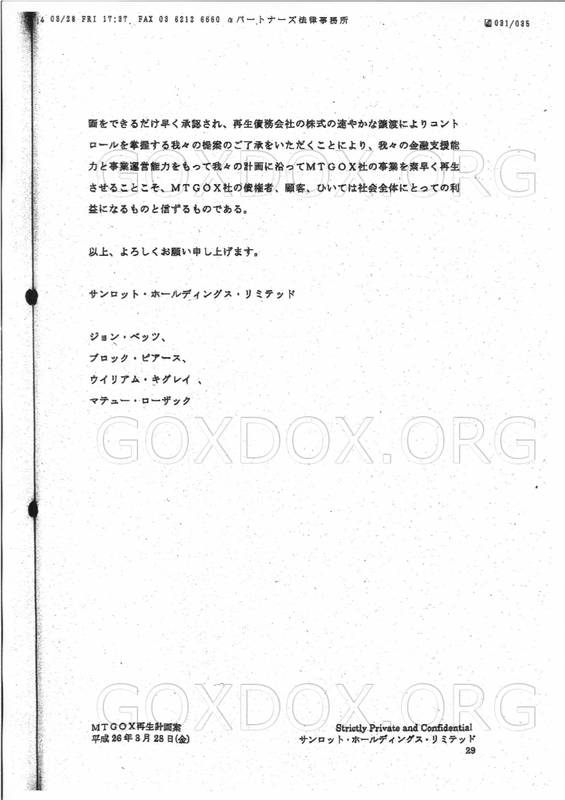 He doesn’t care about your return. 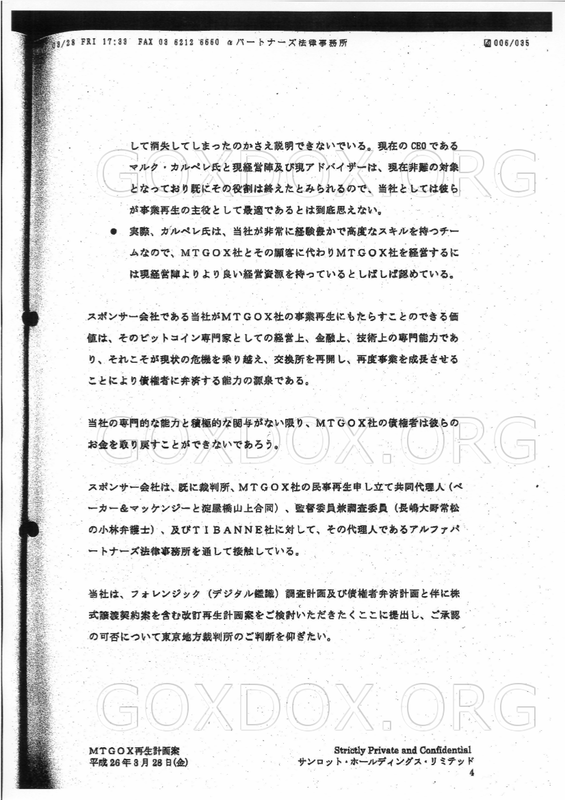 But the damage can be undone. 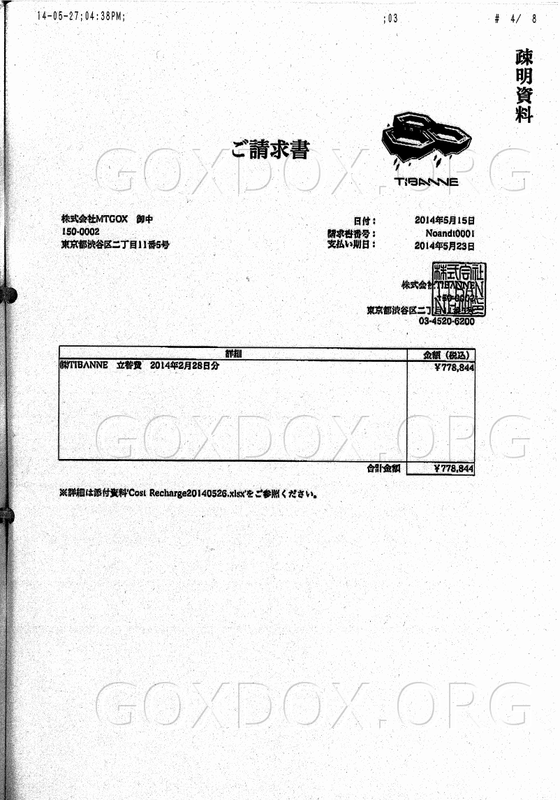 There may be accounts with inflated cash balances that may be reduced, increasing the return to everyone. 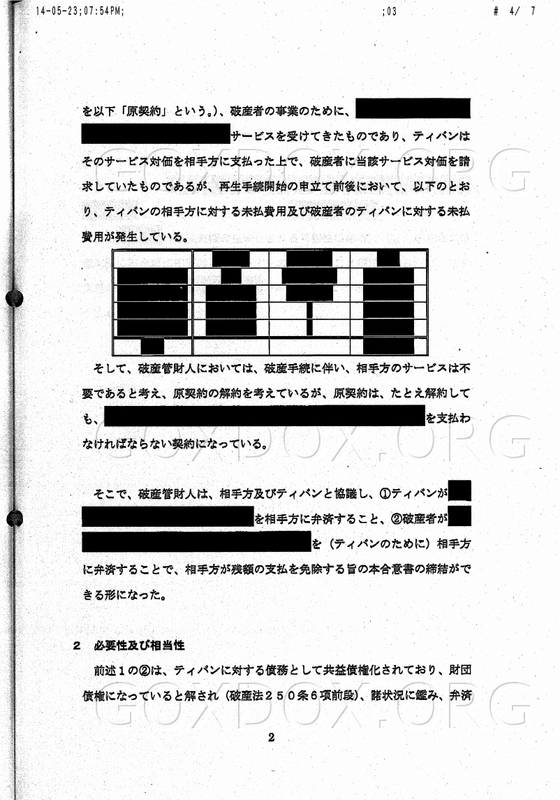 You need to speak up. 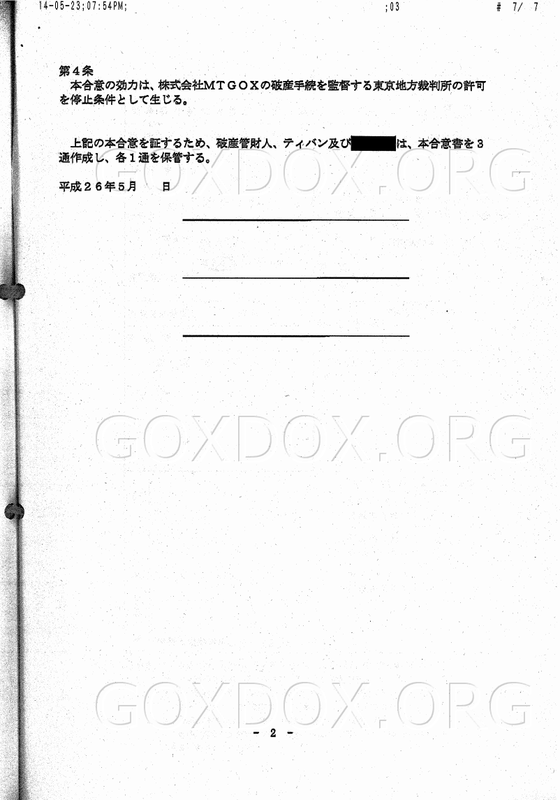 If you don’t make yourself heard, this matter will be disposed of as quickly as possible.